We carry a full line of bee related equipment for your convenience! A FULL LINE OF BEE RELATED EQUIPMENT IS AVAILABLE AT OUR HOLLAND LOCATION. Do you need Nucs instead? Sold out for 2019 - see you next year! Don and Jean Lam have been keeping bees for nearly 25 years. They provide pollination services and produce honey, and frequently host field trips to their apiaries. 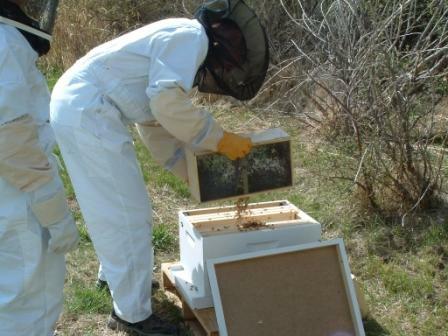 Don teaches local and state beekeeping classes and gives presentations to community groups. Don is an officer of the Holland Area Beekeepers’ Association and serves on the board of directors for the Michigan Beekeepers’ Association. Don and Jean have made trips to Georgia for bees for more than a dozen years. Three Pound Packages of Italian Bees Come Complete with a Queen. 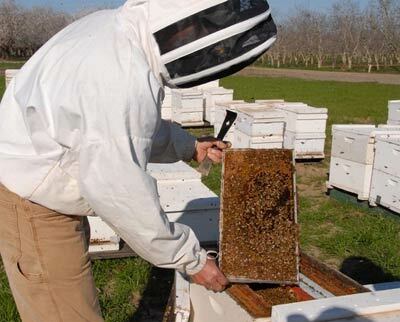 2019 queens can be marked for easier identification in the hive for an additional cost of $6.00. 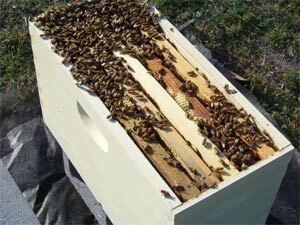 Nucs, or Nucleus Hives, are small honey bee colonies created from larger colonies. 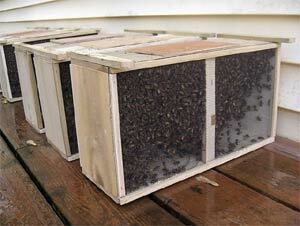 The term refers both to the smaller size box and the colony of honeybees within it. The name is derived from the fact that a nuc hive is a complete colony centered around a queen – the nucleus of the honey bee colony. Don Lam is an officer of the Holland Area Beekeepers’ Association and serves on the board of directors for the Michigan Beekeepers’ Association.